Healing is the process of the restoration of health from an unbalanced , diseased or damaged organism. With physical damage or disease , healing involves the repair of living tissues, organs and the biological system as a whole and resumption of normal functioning. In Psychiatry and Psychology , healing is the process by which neuroses and psychoses are resolved to a degree that the person is able to lead a normal or fulfilling existence. Depression , Obsessive Compulsive Disorder , Anxiety, Phobia and Post Trauma Stress Disorders are some of the less severe mental disorders and are a part of Neuroses. Schizophrenia , Multiple Personality Disorder , and Maniac Depressive Psychosis are more severe mental disorders that distort reality due to hallucinations and delusions. These can be classified as psychoses. Healer is a person who is able to heal various physical and psychological conditions. Lisa Rankin , a medical Doctor is of the opinion that in medical school and residency , most of the Training pertains to curing and not healing. Healing and Curing are different . Curing means eliminating all evidences of disease , while healing means " becoming whole ". We are an inherent part of the Cosmos and are Cosmic Energy and are living in a state of separation from the original source. Healing brings connectivity with the source. Healing brings health, wholeness and peace. It is the time of integrated approach. Combined efforts of a Doctor and a healer can cure as well as heal. How to identify that the child is emotionally disconnected with the parents : There are various signs which indicate that the child is emotionally disconnected with the parents. These are as follows - 1) The child avoids talking to parents , hides something from them constantly and prefers to remain alone 2) The child becomes aggressive 3) Mood swings are frequent 4) The child becomes secretive 5) The child remains stressed and anxious due to some reasons but develops fear to share his / her worry with the parents 6) Avoids eye to eye contact with parents 7) The child does not show respect towards parents and argues with them More the number of such signs, severe is the detachment. Become Emotionally Stable To Help your Children grow Emotionally Healthy : If anyone or both the parents are emotionally unstable and depict lots of mood swing then the unpredictability of their behavior can cause constant anxiety and fear in the children. The emotionally unstable parent has lot of difficulty in controlling his or her behaviour : This is known as Emotional Disregulation. Children who grow with such parents become psychologically insecure, due , in large part , to the inconsistency and unreliability of parent's emotional support. Therefore, if we notice anxiety syndrome in the child please judge your psychological response to various issues in life and in day to day behavior. If you are undergoing lots of mood swing and are in a victim mentality, your emotional stability is poor and you are responsible for your child's anxiety. Therefore, improve your emotional stability by meditation, and energy healing techniques. If you want that your children should grow emotionally healthy, then improve your emotional stability. The Highly Sensitive Child : A highly sensitive child is one of 15 to 20 percent of children born with a nervous system that is highly aware and quick to react to everything. Such children are incredibly responsive to their environments whether it is lighting, sound, smell, or over all mood of the people surrounding them.According to Dr Alaine Aron , who is a leading researcher in the field , "Being highly sensitive is genetic ".Dr Aron explains the condition in four letters: DOES . D stands for Depth of Processing ( they process everything around them very deeply), O is for overstimulation ( which is brought about due to D), E is for emotional reactivity and empathy and S is for sensitive stimuli. The body fluids of highly sensitive kids contain more cortisol ( the stress harmone) as well as higher levels of norepinephrine . Norepinephrine is a stress harmone as well as neurotransmitter. Higher level of Norepinephrine makes a person more sensitive. Highly sensitive kids are highly creative too. They are more finely tuned into the subtelities of life. If their sensitivity can be given right direction they can provide valuable contribution to the society. Hence, the parents needs to chanellise the energy of highly sensitive kids in creative fields while taking care of their emotional need. Why Children develop low self-esteem? Children develop low self-esteem due to following reasons : 1) If the authority figures like parents, teachers etc are in general Disapproving Mode 2) The achievements of the child does not get applauds and goes unnoticed due to too busy parents 3) If parents are in general in a state of conflict 4) If the child faces bullying and teasing at home or school with unsupportive parents 5) If the parents are over supportive and carry out 🚁 helicopter parenting always hovering around him or her to rescue immediately in case of any problem. This does not allow the child to develop problem solving abilities, there by lowering his / her self esteem. 6) Struggling academically without parental or scholastic support 7) If any of the parent is emotionally highly sensitive and undergoes mood swings 8) Trauma due to physical, sexual or emotional abuse 9) If the planetary energy at birth time creates a malefic influence on the first house of the Astrological Chart. An online Training Course on Whatsapp Platform is starting today from 8.30 PM.It is a one month Training Program which will conclude on 13th January 2018. 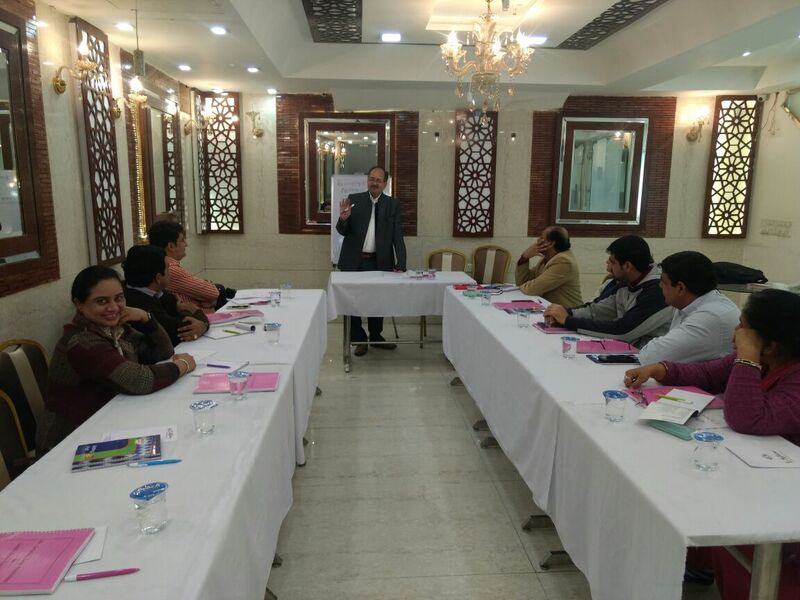 This course is designed by Institute of Peace , Happiness and Mind Power Development , Jaipur and it is a collaborative venture of Institute of Peace , Happiness and Mind Power Development , Jaipur and Success Maximized , New Delhi. The name of the Training Course is " Integrated Cosmic Energy Healing for Brain and Central Nervous System Disorders. This Training will teach at basic level methods of healing brain and the Central Nervous System.